OAKLAND, Calif. (KGO) -- Golden State Warriors star Stephen Curry showed off his moves off the court after Monday night's game. 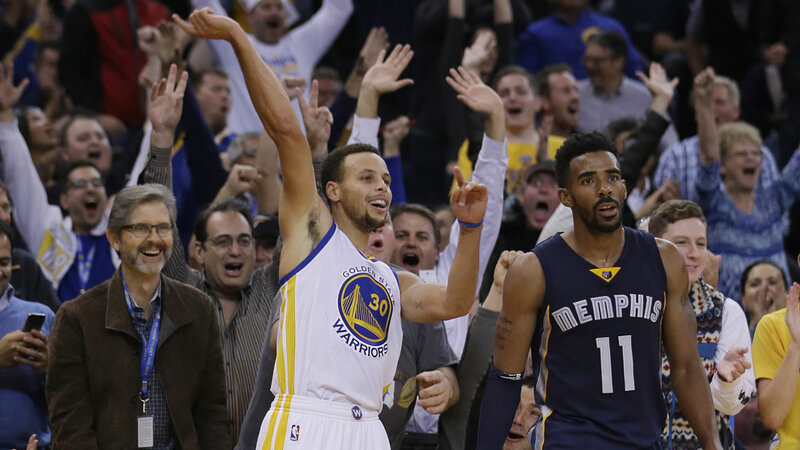 The NBA MVP sure enjoyed the blowout win over the Memphis Grizzlies. He celebrated by dancing alongside a Dubs fan. Curry scored a game high 30 points. Reporters on Tuesday asked fellow Splash Brother Klay Thompson if he gets out of rhythm when Curry gets going. His answer was, "No, cause we're winning by 30. I'll take that all day."